Work injury compensation for retail workers. That's our specialty. If you’ve been injured working in a retail job, we’ll help you get the maximum compensation payments available to you. Our specialist work accident injury lawyers ask more questions and get to know you personally, so you’ll get more compensation. Whether you’re working in a supermarket or a shop – retail workers are at risk of a range of injuries at work. Over the years we’ve helped a large number of retail workers claim compensation for their injuries, including injuries from lifting, stocking shelves, poorly designed work environments and slip, trip and fall injuries. If you’re a retail worker who’s been injured in a work accident you may be entitled to claim compensation through your employer’s workers compensation insurance policy. Your injury needs to be reported to your employer, and your employer is responsible for reporting it to the insurer. However we’ve come across many situations where injuries haven’t been reported correctly, so it’s best to obtain a copy of your file from your employer. 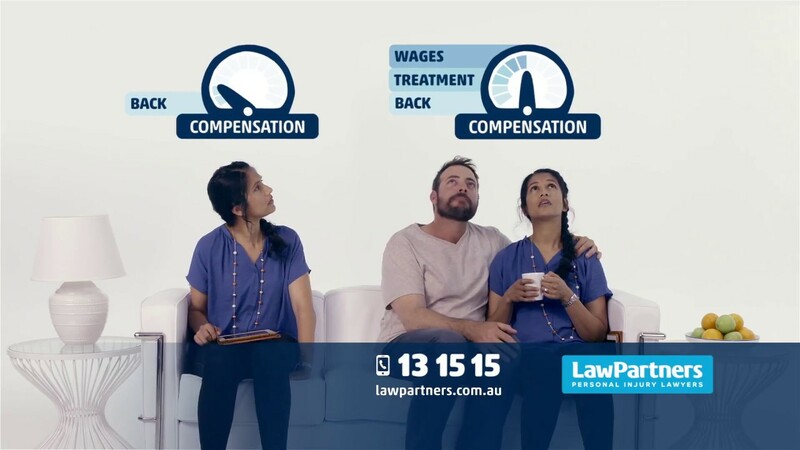 If you’re not sure what to do, you can speak to a specialist workers compensation lawyer and get advice. It costs nothing to call Law Partners for advice. Even if you’re a casual retail employee, you may be entitled to claim workers compensation. In fact if you’re working in retail as a second job and your injury prevents you from doing both your jobs, we may be able to help you claim compensation for lost wages from both jobs. One of our specialist workers compensation lawyers will be able to explain over the phone how we can assist. What treatment can I get without pre-approval? GP consultations – Any consultation with your nominated treating doctor (GP) in relation to your work injury. Specialist consultations – The first consultation with a specialist medical practitioner, on referral by your nominated treating doctor (GP). Pharmacy – Pharmacy items prescribed by your GP or specialist medical practitioner in the first three weeks post injury, to a maximum amount. Pharmacy items excluded from the Pharmaceutical Benefits Scheme to the maximum amount. X-rays – All plain x-rays performed on referral from your GP or specialist medical practitioner and provided within one week of the injury. Public hospital – Any services provided in public hospitals (including at the emergency department) that occur within one month of your date of injury. Physiotherapy, osteopathy and chiropractic treatment – there are detailed guidelines around treatment expenses that can be claimed without pre-approval. Please call us for advice on this. Psychology treatment or counselling – there are detailed guidelines around treatment expenses that can be claimed without pre-approval. Please call us for advice on this. Remedial massage – No more than five sessions of remedial massage, where there has been no previous remedial massage therapy for the injury claimed from a WorkCover-approved therapist. Hearing needs assessment – there are detailed guidelines around expenses that can be claimed without pre-approval. Please call us for advice on this. Please notify us if the insurer has declined payment of any form of treatment, and we will provide you with advice. Maximum medical improvement is when your condition is well stabilised and unlikely to change substantially in the next year, with or without medical treatment.